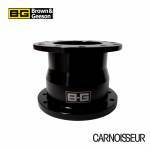 Brown & Geeson was established in 1963 by Ray Brown and Arthur Geeson. The business soon became recognised as one of the country's most respected manufacturers of various accessories to many vehicle manufacturers/importers, as well as marketing its own wide range of B-G aftermarket accessories. 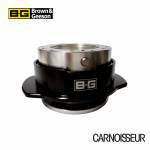 Today Brown & Geeson continues to design, develop and manufacture products of the highest quality to ensure that customer's expectations of quality, price, delivery and service are met and whenever possible, exceeded.